Its been two years already. Where did the time go? Can believe the amount of people we have met, some even became good friends. This is truely a amazing journey, and I am so happy when I realize tht its only the beginning, the best is yet to come. Its been a good 6 months now and sooo many people getting there first tattoo with us. I cant express enough how thankfull I am for the trust put in our studio. Thank you everyone, you make this studio even more special. 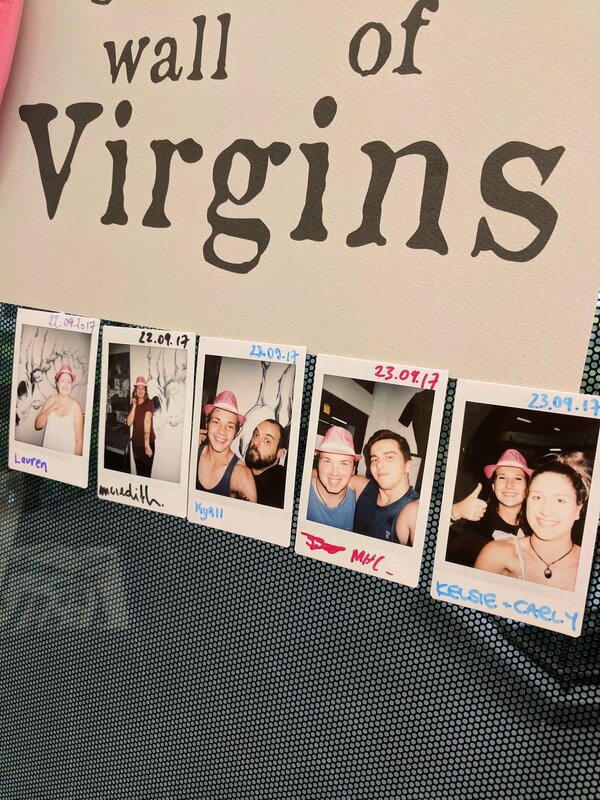 Not long ago we have launched the "the BigFish tattoo wall of virgins" where everyone getting their first tattoo can pose for a instant photo that will be exposed in our studio for evaaaaaaaa! Most of these virgins have asked to be on the wall, some got a tattoo so they can be on the wall. Our very unique wall of "Virgins"
Brace yourself... Summer is coming! Ink for pink Ribbon is a initiative we have created to help breast cancer survivors, covering up there mastectomy scars with a tattoo for free. The end goal we are aiming for is to group together on one platform, information and contact details of tattoo artists willing to donate a tattoo. Anyone looking in getting a mastectomy cover-up can find on this platform a artist close to them. This initiative is very important to me, I have lost my mother to breast cancer, and saw her go through this breast removal process and it is terrible. If I can with a tattoo, help a woman regain a bit of the feminity she has lost, it will be a great victory. 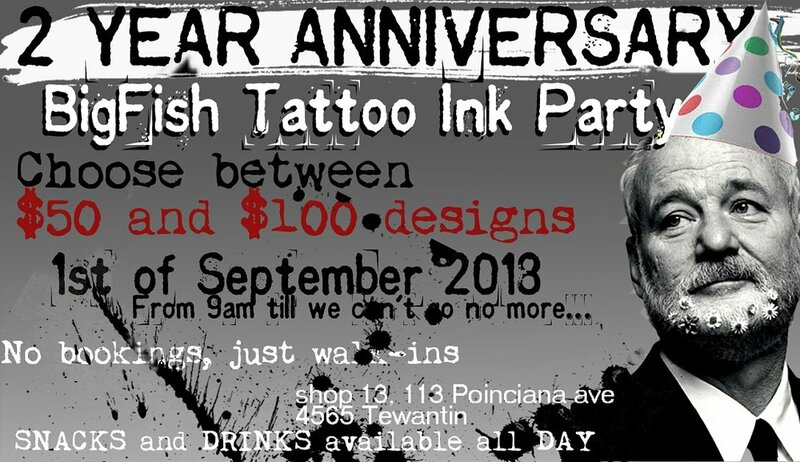 BigFish Tattoo is one year old! Its crazy how time flies. It seem like it was only last week I was placing the decals on the shops window. The studio was one year yesterday. And what a year. One hell of a roller coaster. But despite the highs and the lows, I met amazing people, some who became friends. I saw my work evolve and saw new projects come to life. One thing is for sure, I cant wait to see where we will be in a years time. A great team is coming together and with that great new projects. I would like to thanks all of you who supported me during this year. It would have been impossible without you guys. A million thanks to you guys and a even bigger thanks to my wife and son, they are the reason why I am doing all this.